My arms are out because I was so dizzy, I kept tipping over. 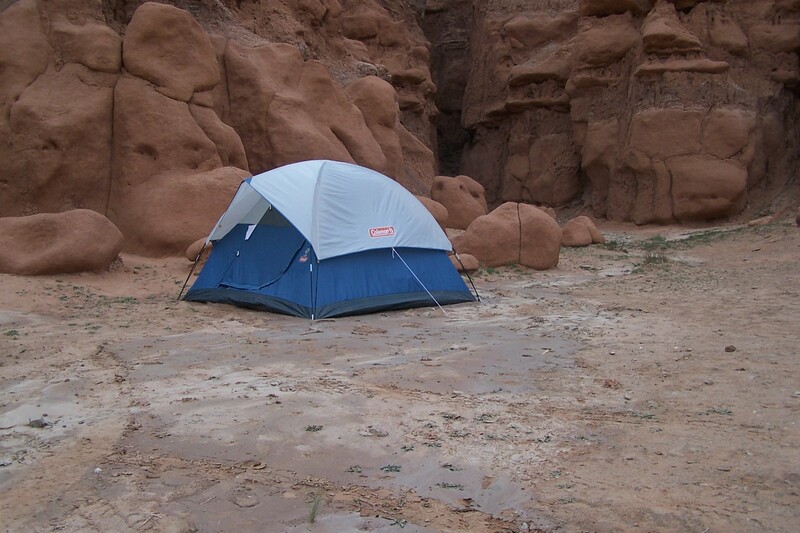 Camping Tip #127: Don’t set your tent up in or near a flood plain. Even if it hasn’t rained in weeks, even if it looks like it won’t rain in years. They’re not kidding when they tell you that flash floods come on suddenly.